I wanted to share this last card I made for Emma's DT call. Our theme was "friendship" and thought I would share this card I made of a special friend. I have been very ill with the cold and have not had the energy to get in my craft room :( It a super quick and easy card I made to lift up the spirit of a friend. I also want to share this tag I made for my daughters teacher. I know its not related to friendship but thought It would give you an quick and easy idea for a gift. Thank you for stopping by today! Make sure you leave you comment here for a chance to win this stamp set! Big crafty hugs to you all! I will miss this team! Miss Nancy, what can I say? You are AWeSOME my friend! I remember we met at the scrapbook expo & I remember walking away saying 'That's the girl who have AWESOME layouts on her youtube channel"! hehehe! Also, I will NEVER forget the day my tire blew out on the freeway & you offered to meet me on the freeway & change my tire for me....that there was simply "PRICELESS"! THANK YOU for eVERYThing my sweet friend! LOVE YA! Your card is beautiful & different in a good way of course!! Amazing job & Thank you for sharing your creations with us all!! Kute Kard and tag doll!!! Your card is beautiful and your tag is to cute! I am so going to miss this DT, you ladies are amazing and will sorely be missed! Super cute teacher gift. Love your card, it is gorgeous. Can't wait to see what's in store for 2014.
so so cute is that little gift bag!! And what a fabulous card!! Thanks for all the inspiration! great job on the card and the gift bag and tag are adorable. Looking forward to what you have for 2014! Merry Christmas! Very pretty! I am looking forward to seeing what is in store for 2014! Such a nice card for your friend and the tag you created for daughter's teacher is too cute! What a beautiful card! I love the beautiful bag and tag to! I hope you get to feeling better soon! It is no fun to be sick and then to be sick during the holiday season! Take care! What a great card! Love the tag as well for your daughter's teacher. 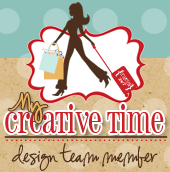 I have enjoyed stopping by all of the design teams blog and seeing such fabulous creations. I will continue to stop by and check out your projects. TFS! Love that inspirational message and design. And the little tag is adorable for the bag. I sure do look forward to seeing your creations still in bloggy land. Beautiful and thoughtful card Miss Nancy. Sorry to hear you have been sick...I'm right there with you...YUK! Thanks for a wonderful time on the MCT Design Team. I look forward to many many more fabulous SmashBooking videos!!! You are the QUEEN!!! Good luck to you in everything you do. Lots of love and hugs! What an encouraging card! I've thoroughly enjoyed seeing how you display and create with Emma's products. I'll miss this wonderful DT of Emma's. The best of luck to you in the future. Love your card it will definitely make someone feel so much better and I'm sure they'll look at it very often for the pick me up that will make their day and or week. Love Isabelle's bag so stinkin' cute she's so talented just like her mom. Love how you used Miss Emma's goodies. Thanks for the chance for an awesome stamp set. Fingers crossed. 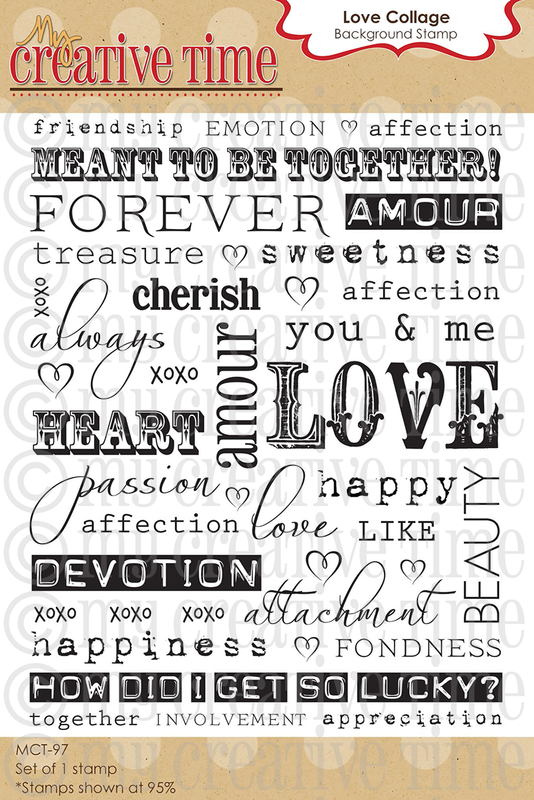 I've been looking for TO and FROM stamps ... love the ones you used here! Gorgeous card and super cute bag!! Love your designs...I'll be checking in regularly. Merry Christmas! Really pretty card and the gift bag is so adorable! I'll continue to follow your blog. Thanks for all your hard work and beautiful creations, I've really enjoyed them. Merry Christmas and Happy New Year! Beautiful tag and gorgeous card. Love the sentiment and stitching. Thank you for sharing. Have a Merry Christmas and Happy New Year. Beautiful projects! LOVE the gift bag idea! SOOOO fun!!! Beautiful card and your projects are lovely. 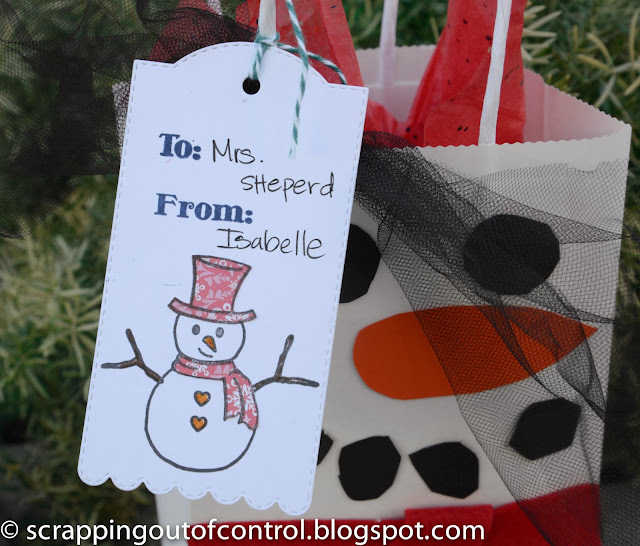 Gorgeous card and an adorable snowman bag! Happy, healthy holidays to you and yours. Great card, thanks for sharing I will miss all your awesome creations!!! First of all your card is so elegant! Second there is snow friend better than a snowman hope you feel better soon. Nancy ~ Oh my word this card is simply PERFECTION! I know who ever receives this is going to LOVE it and TOTALLY lift their spirits! Then the CUTE tag for your daughters teacher ~ OMG ~ totally need to scrap lift too! You know you had me at smashing and your videos! I will ALWAYS watch them and TOTALLY need to crash at your house so I can just watch you create! I so hope you start feeling better soon too! Have a very Merry Christmas and a healthy happy New Year ~ Luv ya! What a gorgeous card Nancy! 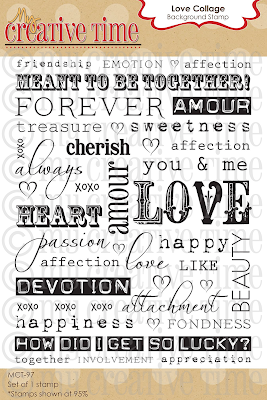 I just LOVE the papers you used and the sentiments are beautiful!!! Thanks for all your amazing MCT inspiration! Beautiful card Nancy. Thank you for all your wonderful projects and inspirations. 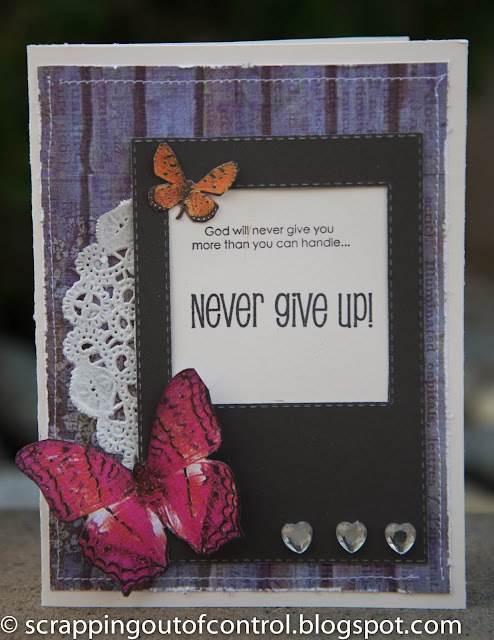 Such a lovely butterfly card with an encouraging message! Cute tag and wonderful card to give to a friend. I absolutely ADORE that gift bag!!! Adorable projects, such a sweet and thoughtful card for a friend! I always enjoy all of the inspiration you provide, best wishes to you in the upcoming year. Sorry to hear you're I'll. Sweet card and love the bag and tag. What a beautiful card and sentiment. Sorry you've been feeling under the weather. Thanks for all your wonderful creations you've showcased with Miss Emma's products. Love your projects...that snowman is so cute! Great job on your beautiful card...for you it is CAS. I hope you are feeling better soon. Wonderful job on your gift bag and tag...so cute, the teacher will love it. I have been enjoying your work and look forward to seeing your work in new places in 2014. Great job. Cute card! And cute gift tag! Absolutely adorable! The teacher will love it! Feel better and Merry Christmas! Beautiful card, Nancy, and the tag is adorable! I hope you are feeling better! I've had a blast being on this team with you! Have a wonderful Christmas!!! Precious card! Something we all need to hear at some point in time. Words to live by... Perfect. Nice card and wording. Good luck in all you do! Lovely card, and love the simple tag! nancy, I always love your vintage, but not over the top style! I hope you feel better soon! wishing you and your family a Merry Christmas, and a safe and healthy New Year! This is really pretty! I love all the elements you used. I'm sorry you've been sick, we've got it here too :( It has been great getting to know you. Your scrapping talent amazes me, lol...I'm no scrapper. I'll be seeing you around..Not saying any goodbyes today. cute card! hope you feel better soon! thanks for all the inspirations! MERRY CHRISTMAS and a HAPPY NEW YEAR!! thanks so much for all you do! Very cute card and teacher gift!! Love them!! Merry Christmas and Happy New Year!! Very lovely card, wonderful sentiment, so encouraging! The doily is so intricate, I can never find any that lovely. 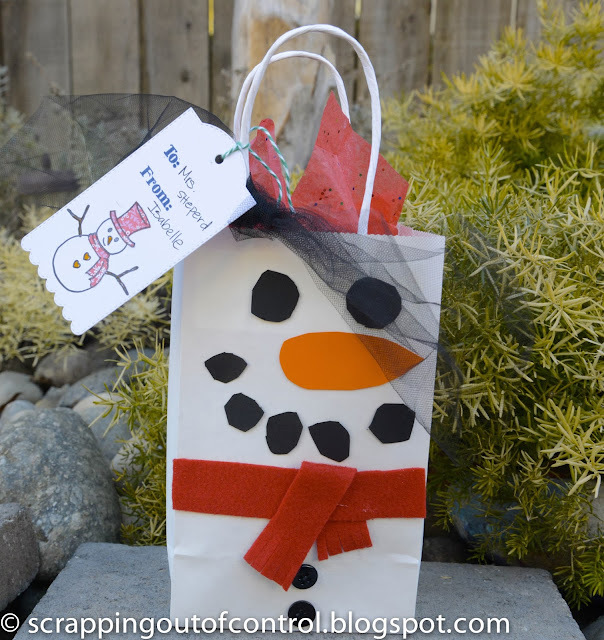 The snowman tag and bag are adorbs! Happy Holidays to you and your family! cute card love the snowman bag! Your card just would be so uplifting for the receiver. Love it! And your snowman gift bag is perfect for all of us! Thank you for sharing all your talent while you have been a part of MCT's DT. Have truly enjoyed you! Lovely card and tag Nancy, I hope you feel better soon! Thank you for all you have shared with us!